Our second destination for 2019 is China. During this “visit” we will explore the people of the region and their beautiful culture, sample authentic cuisine, listen to traditional music, learn about the local flora and fauna, and even craft an original work of art. Come collect your second stamp! 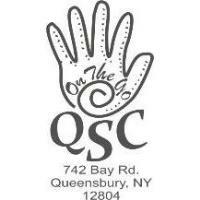 The presentation will take place at the Queensbury Senior Center on Friday Feb 8th 1-2pm. This series is open to the public, and all are welcome to attend. Members free, Not Yet Members $3. Please RSVP by February 6th to Rachel at (518) 745-4439.